Owing to the actress’ popularity with two of her distinct roles, fans in Patna were all gaga when they met the young actress. During the marathon, When the actress came on the stage, thousands of people hooted and cheered for Fatima. The people were so excited that they started hooting ‘Dangal Dangal’. 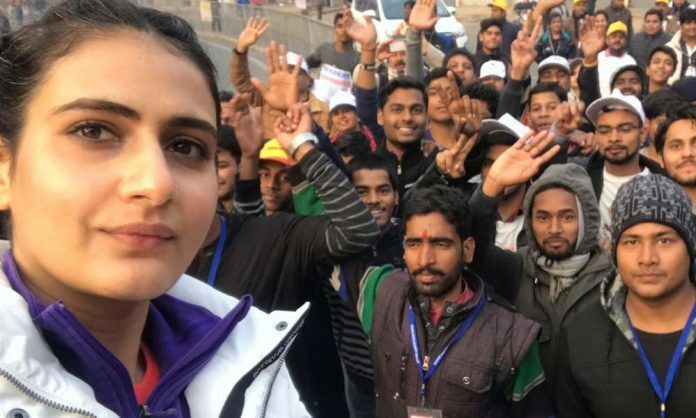 Fatima had a gala time in Bihar as she binged on to Bihar’s famous delicacy ‘Litti Chokha’ and she loved it so much that during the marathon she mentioned about it on stage.